Finding terrific toys is one of our jobs here at Babyology and we have a new one we think you’ll love. 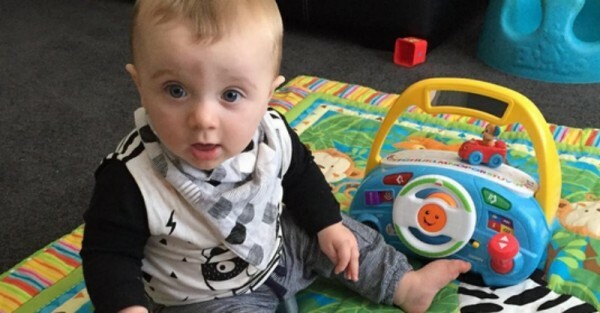 He’s part puppy, part steering wheel and he’s causing quite the stir among our Babyology reviewers. All small children are exploring the world through play, and it seems that almost universally, children are fascinated by cars, trucks and transportation from an early age. 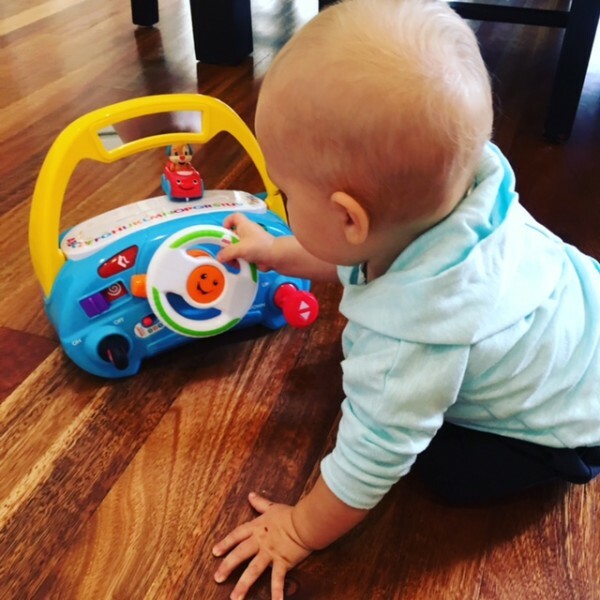 This is why Fisher-Price introduced their Laugh & Learn Puppy’s Smart Stages Driver – which appeals to a child’s love of new sounds and songs and their love for animals and transportation. 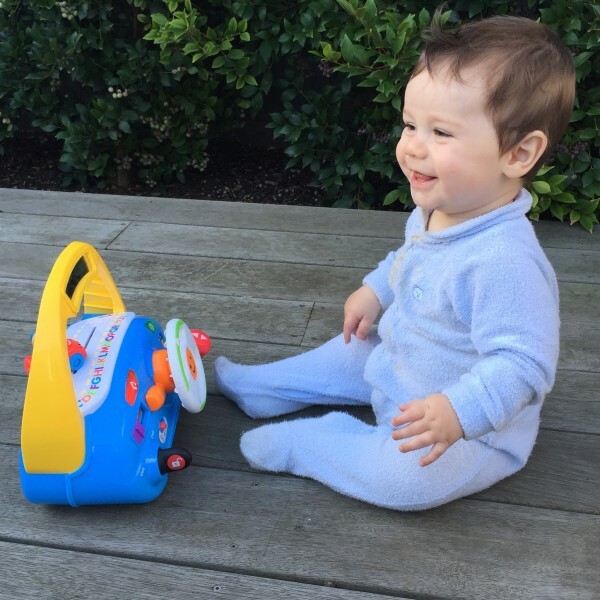 Last month as part of our Fisher-Price families campaign, we selected 10 families to try out the Fisher-Price Laugh & Learn Puppy’s Smart Stages Driver. Their babies ranged in age from three months to 18 months – all with different personalities and preferences in terms of toys. 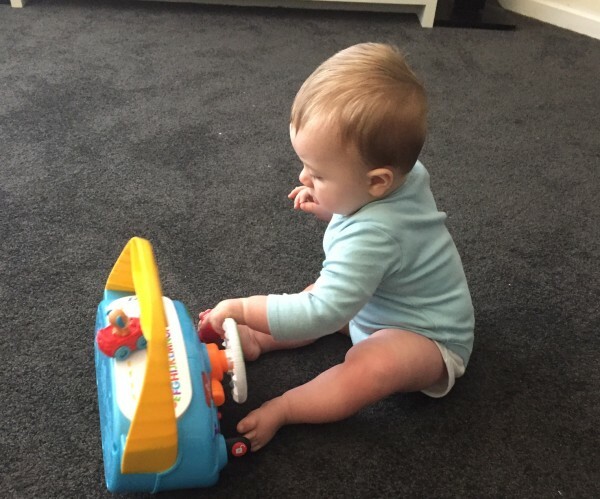 However, regardless of the differences in bubbas, our mums could all agree on one thing – they loved the toy. 7 of our 10 mums rated the Puppy’s Smart Stages Driver a 4 or 5 out of 5. 8 of our 10 of the mums believe the toy stimulated imaginative play. 8 of our 10 mums said they would recommend it to their friends. Almost all mums agreed that the best feature of the toy was the sing-a-long songs but the kids all interacted with the steering wheel, the flashing lights and the buttons as well. 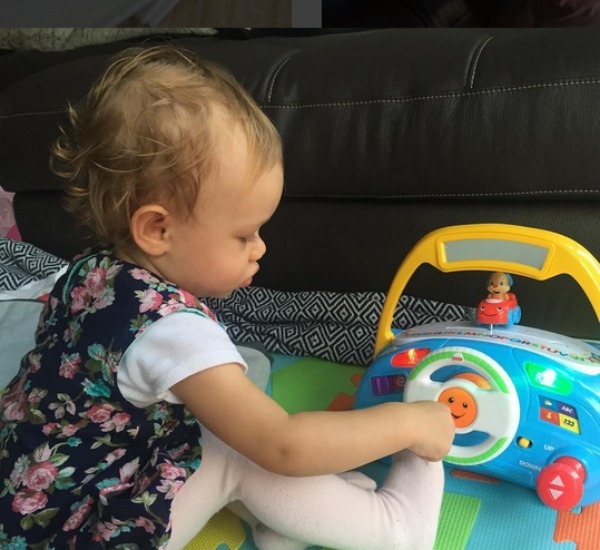 9 of our 10 of the mums agreed that they loved watching their little ones play with the Puppy’s Smart Stages Driver. The Laugh & Learn Puppy’s Smart Stages Driver introduces a whole world of learning and exploration through buttons, gadgets and gizmos. 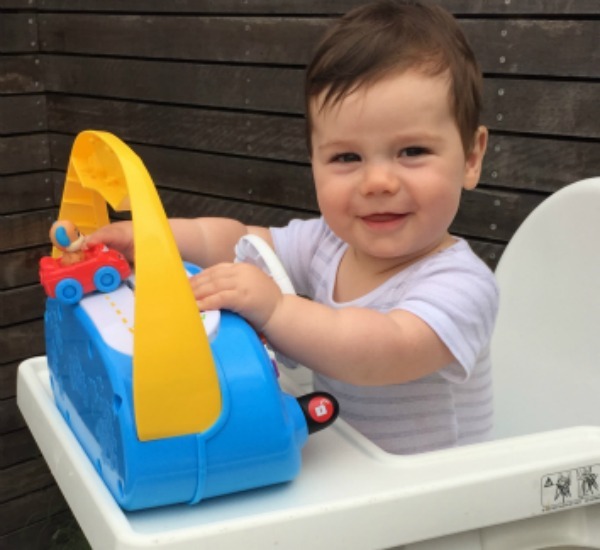 With their engines revved and their babies ready to play, here is what our mums had to say. “I am so grateful that we were chosen to review this item. 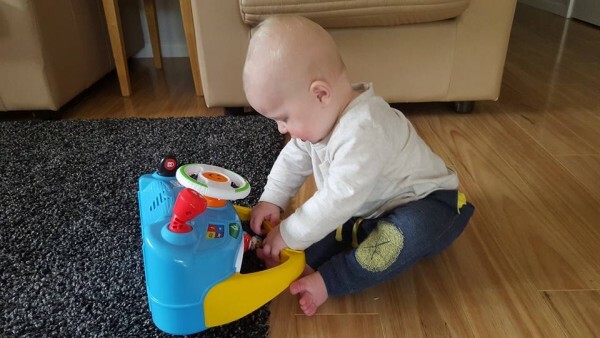 I think it’s super cute and will grow with Lucas for many years to come!” – Ashley H.
“It was great to see my little boy playing and learning and his cousins enjoyed playing with it too when they came round.” – Renee S.
“I love Fisher-Price toys and would recommend any of them. This one wasn’t any different.” – Kelly J. “Every time the light flashed he was so attracted and went straight for the new toy.” – Alicia R.
“My daughter loved pressing all the little buttons on the right upper wheel side. She is obsessed with the ABC song. She wasn’t that fussed about driving the car but liked pressing the horn.” – Jeni M.
“Lucas loved the horn and turning the wheel!” – Ashley H.
“[Ryder] immediately started waving his arms and his little fingers started grabbing, touching and exploring all the different features.” – Renee S.
“My girl giggled then sat down and turned on the ignition key and said broom broom and started driving! Adorable. So clever how much kids pick up from watching adults!” – Jeni M.
“[Henley] couldn’t wait to get it out of the box, clapped and begged for it to be opened.” – Layla T.
We want to extend a big thank you to all the mums and children who participated in the review. We hope your little ones had a blast driving their way through imaginative play.